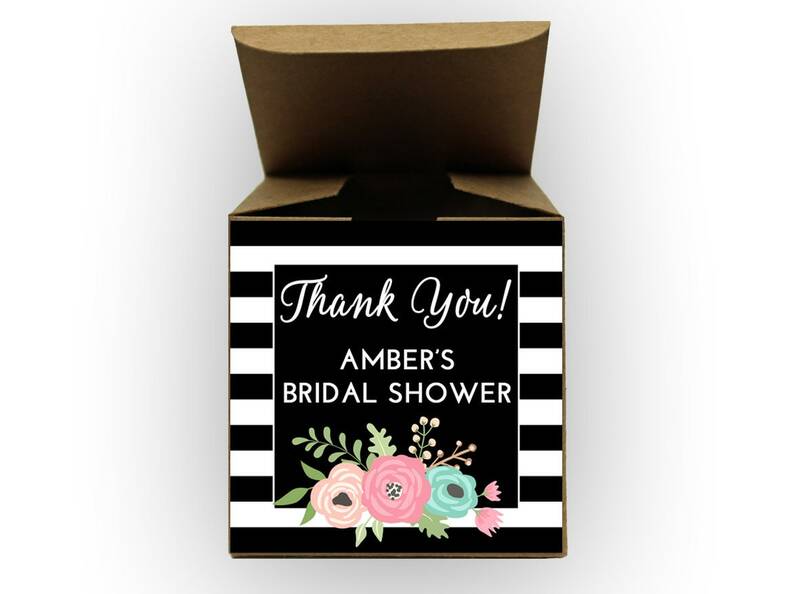 Set of 12 tuck top boxes and 12 personalized stickers. 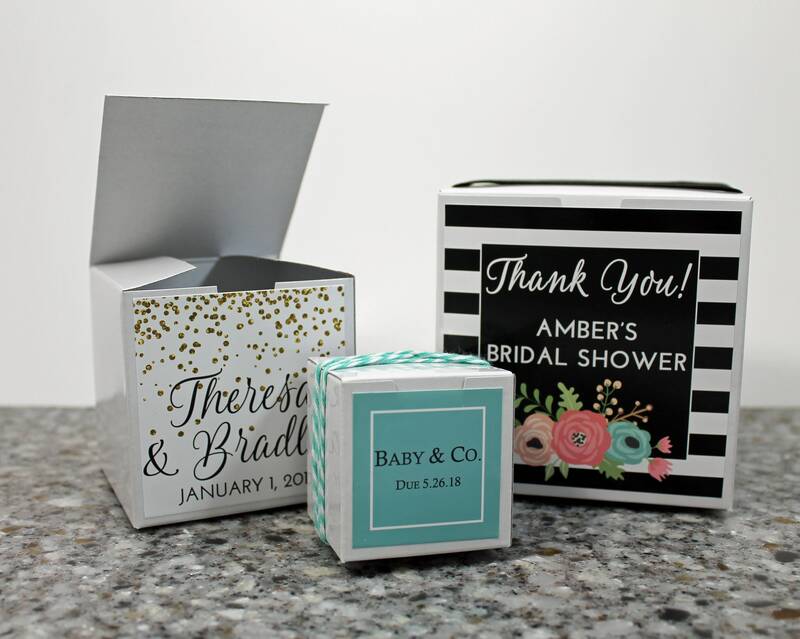 Stickers and white boxes have a high gloss finish. Kraft boxes have a matte finish. Boxes are shipped flat with the stickers unattached. Assembly is required! 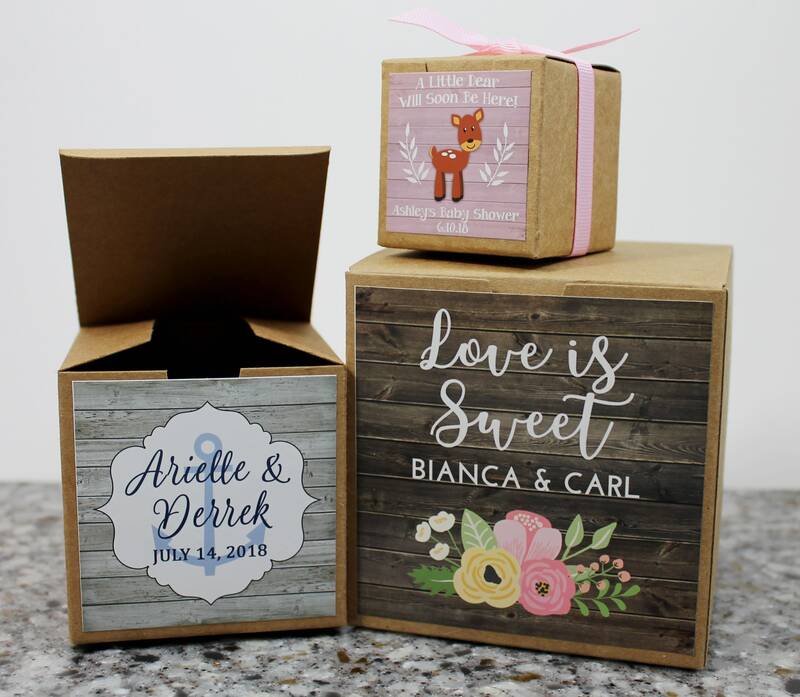 Available in 2x2x2 inch, 3x3x3 inch, and 4x4x4 inch boxes in either white or kraft brown. Stickers are approximately the same size as one side of the box. 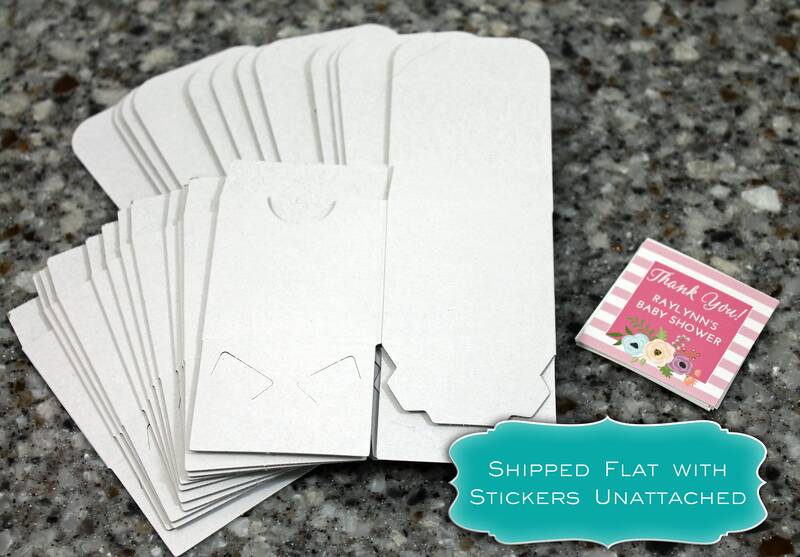 2x2 stickers have slightly rounded corners. 3x3 and 4x4 stickers have square corners. See Box Style menu for prices. Standard delivery time for boxes is 2-3 days after an order ships (international delivery time varies). Shipping upgrades can be chosen once your order is added to your cart. Shipping upgrades include upgraded postage only, and do not decrease production time. All shipping is done through the USPS. Colors may vary from what is seen on screen due to differences in monitor and display settings. 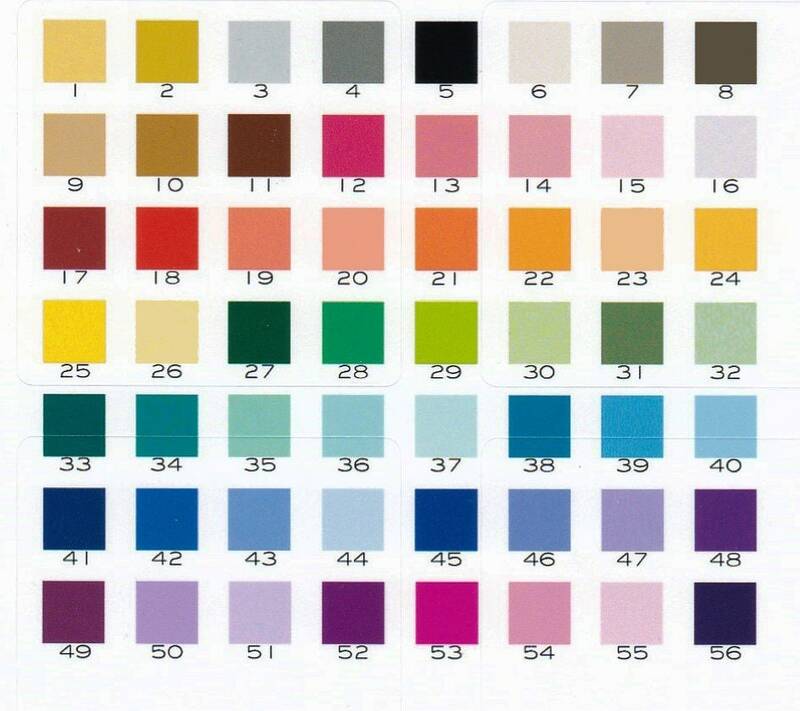 Please see my color chart photo in each listing for the best estimate of printed colors. Proofs and sample images are graphic representations, not actual photos of printed items. Boxes and stickers are not waterproof or grease proof.